Adjusting her bags, she twists her body to the right, away from Hazul’s famed fish, to reach out for my hand. Just behind us, cars frenetically ebb and flow in a desperate attempt to merge into the Boavista Rotunda where a toppled food stand has blanketed the street with hundreds of freshly roasted chestnuts. I can’t express how saddened I was by those four words. They felt heavy and suffocating, as if society took a baton over her head and executed her fate. From the point of motherhood, she was deemed a caretaker – no more, no less. Her dreams, her personality, felt secondary, if not nonexistent. Ironically, it’s women like Catarina that make up the social fabric of Portugal. It is she, with her vibrant, bubbly personality and wicked sense of humor that bring life to its textured streets and sandy beaches. It’s her smile, her shaky hands and her tangled ball of interconnected memories that retain Portugal’s past, a past consisting of mass immigration, family, resilience, poverty, oppression, warmth, self abatement and empathy. 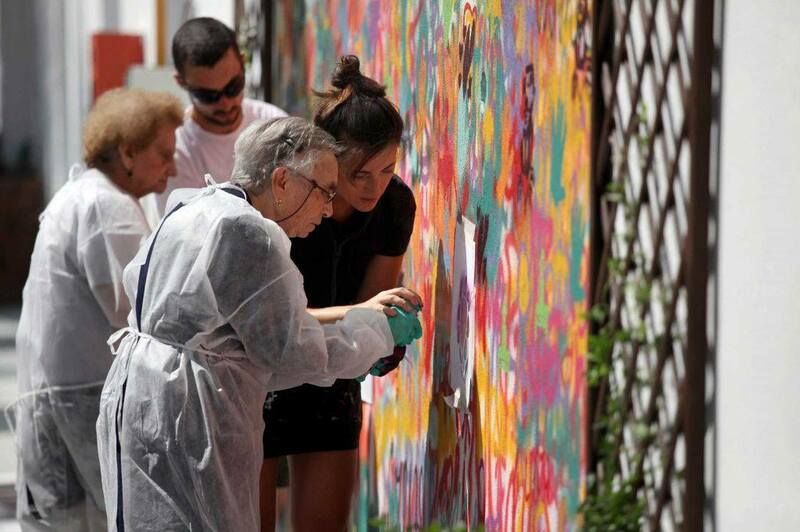 Lara Seixo Rodrigues is the cofounder of WOOL, a festival in the town of Covilha, that aims to unite both urban art and Covilha’s textured past. Located in the center of Portugal at the foothills of Serra da Estrela, Covilha was known as the Portuguese Manchester for its vast textile production, mirrored in more than 200 factories and 8,000 workers that labored until the 1974 Revolution. Hence the name “Wool”. Admittedly, every time I see a photo, or remotely think of this project, a broad and toothy smile sweeps across my face. I involuntarily become giddy and happy, because it proves a theory I’ve always believed in: regardless of your age or personal struggles, learning keeps you young! The more you push your boundaries, and get uncomfortable, suddenly, life takes on new meaning. Much like a 2013 Vintage Port, Lata 65 plays to those people 65 and older who want to pick up a can (lata) and tag! It encourages Covilha’s elders to get up and out of their worn recliners to create, express and celebrate their dreams! Provided with gloves, spray cans and dilapidated walls, over the course of two days, they have full authority to design whatever they want. From simple tagging to more comprehensive murals, they work side by side with talented young urban artists to let their imagination’s loose. Staring at the gray, drab cement wall of the cooperative, nestled just across from my window in Porto, I completely understand her passion. I too have craved to transform this wall into a climbing garden or an urban art scene full of bright colors and textures. I want my city to be the hub for Urban Art, the epicenter of creativity and artistic expression! I’m thinking it’s high time that Porto steps up encourages its elders to tag, paint and graffiti their way onto our aging walls and crumbling exteriors that need a touch of love and restoration. It not only gives new life to a city that’s already going through a rebirth, but it allows these wise souls to put their skills to use! Lord knows, they may very well become the next graffiti Gandalf of Porto! 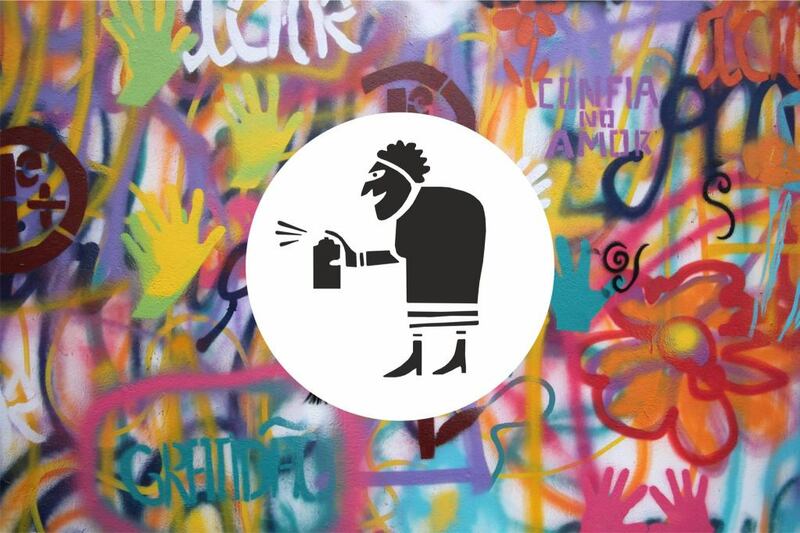 If you’re keen to participate in Lara’s projects, or want a custom tour of Portugal’s urban art including pieces by Hazul, Akacorleone, Daniel Eime, Dheo, Miguel Januário, Paulo Arraiano, Odeith and Gonçalo MAR among many others, drop us a line!